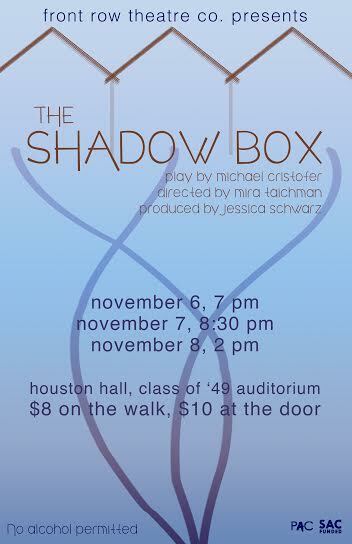 FTC Presents… THE SHADOW BOX – Front Row Theatre Co. The Shadow Box follows three terminal cancer patients who dwell in separate cottages on a hospital’s grounds, attended by family and close friends as they await the end. In this Pulitzer Prize and Tony Award winning work dealing with the challenges of impending fate, we not only discover the circumstances of the patients’ last moments, but of their entire lives as well. Next Post Auditions and Tech Interviews for Venus in Fur!